This graphic shows how the core of Sulu is setup. 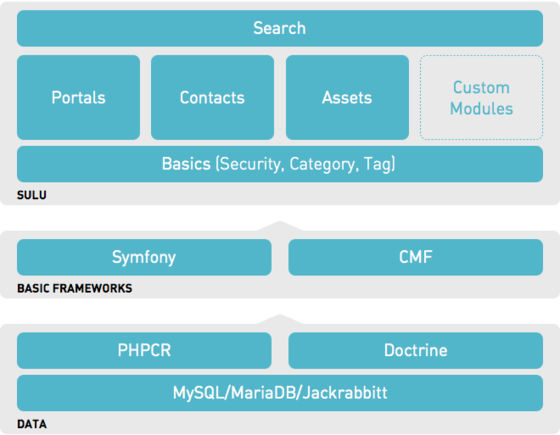 Symfony uses PHPCR, Doctrine and MySQL, MariaDB or Jackrabbit. Sulu is based on Symfony and the Symfony CMF. Everything else is Sulu. In the next step there is more information about the components. When is Sulu the right choice? Which components are packed into Sulu? Previous: What is Sulu’s focus? Next: Which components are packed into Sulu?